Al Gore, Alice Waters, Tony Hawk and a bunch of other local experts were invited to map out their favorite places on Google Maps. The lists are interesting and you can explore by person or city. Of course, I immediately wanted to add my own list of favorite places. It’s mostly food and antique stores, naturally. Check it out. More multi-purpose spaces. 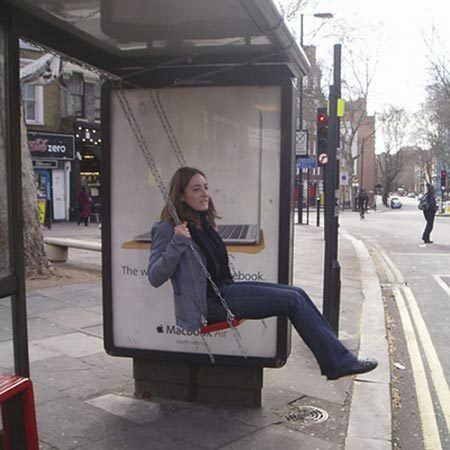 In London you can swing while you wait for the bus. We recently posted about multifunctional products. 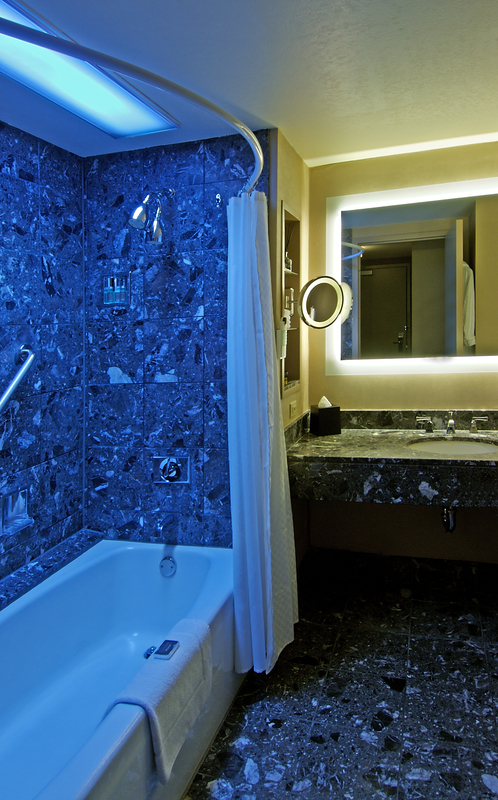 Now, The Westin Hotel & Phillips partnered to bring us multifunctional spaces. At the Westin Chicago River North guests can opt to stay in a “concept room” designed specifically to fight jet lag and sleep deprivation. Phillips decked this room out with their blue-light ActiViva lamps, a light therapy box for the desk, a eucalyptus shower fizzer (I immediately need to buy this), a guided meditation sleep TV program, a specialized room service menu with trendy items like the banana-milk smoothie, and running maps to encourage exercise. Westin reps explain that their research has uncovered startling information on the number of sleep deprived guests currently staying in hotels. This concept room was designed to help solve that problem. Personally, I think it is a smart way for them to fight the W Hotel, The James, or the new Dana Hotel. Lets see what other “concept” rooms pop up after this one. A foodie room? A beauty spa for the bride-to-be? How about a room for dog owners? I thought Serendipity 3’s $25,000 edible gold dessert was outrageous. Or Virgin Galatic’s sub-orbital space filghts, starting at $200,000. But then in 2006 we saw the birth of the Phoenix 1000, the ultra luxe private submarine going for a whopping $78 mil. This sub is the single largest private undersea vehicle ever built. 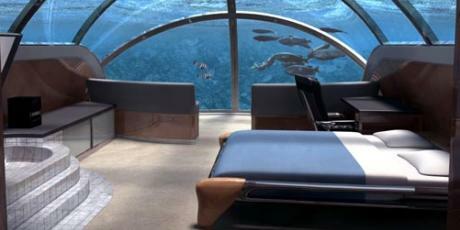 It comes fully loaded with two floors of lavish living space, aquariums (if the surround-view of the open sea wasn’t enough), theaters, mini subs for side trips, and anything else you can dream up. Since then private submarines have become the new toy of choice for the rich and famous. Where can modern extravagance go next?